However, before you launch into the upheaval, expense and inevitable stress that is associated with any building project there are a couple of things you need to think about. First, make sure that what you need is more space and not just better space. Often when I’ve been asked to go and look at a house where the initial brief has been to design an extension, through conversations with the homeowners and careful observation, I’ve soon figured out that what is really needed is something far less drastic. Decluttering and a few trips to the local tip, re-imagining and re-purposing space by swapping room functions, rethinking circulation space, turning a corridor into useable space or sometimes simply introducing more daylight into a room. Dark rooms are often underused because they feel uninviting and they unwittingly become rarely used or a dump space, in other words a waste of space. 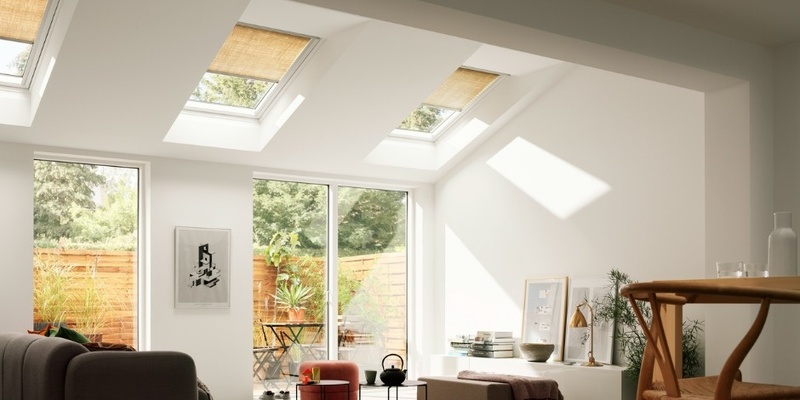 The effect of a new window, roof light or, if no option for a direct connection to outside exists, an internal window borrowing light from a new nearby roof window can be transformative. I’ve used all these tricks to solve the problems that at first glance required more space. Having explored all the above options thoroughly sometimes an extension is the only way forward. Once this informed decision is made then the key to almost all successful extensions is daylight. There is the obvious challenge of creating a new high quality, light-filled extension that will bring joy to your life and it’s here that we need to focus all of our attention. It is easy and enjoyable to imagine walls of glass bringing the outside in, a coffee on the new terrace, a family party in the new kitchen. It’s natural and important to focus on these design and life moments to get through the challenges of a build, but there is a real danger that by adding space you can actually degrade what you already have. Light is the life blood of good space and a badly extended house will drain that away, casting existing rooms into shadow. Extensions are, by their very nature, attached to your house. Building one will often ‘land lock’ some of your existing rooms meaning they no longer have an outside wall and good access to daylight. The main determining factor for the light quality of a space is distance to a window. Extending a house usually increases this distance and therefore is fraught with challenges. This is where roof windows are invaluable if you want to keep your existing space usable, preferably joyous. They provide up to twice the light levels as a vertical window of the same size. Crucially they can often be placed in the roof of your extension close to what would have been the old walls of your house, therefore, bringing precious light into the existing rooms keeping the distance to the nearest daylight source as short as possible. Don't be tempted by symmetry and the allure of a neat plan and have roof windows central in the extension. This often puts them adjacent to windows and doors, i.e. not where daylight is needed. Always try and put them close to your light-starved space. There are no hard and fast rules but always examine your plans in terms of light levels only, and just for a moment ignore everything else. If you can see issues with this simple exercise, then you need to re-examine your plan. Once you have a functional design in terms of daylight I always try to introduce two or three roof windows simply to add drama and lift the architecture. After all, daylight to buildings is like ketchup to sausage sandwiches. It takes something every day and makes it magic! We have created an example timeline to give you a rough idea of the key milestones in a typical extension project.